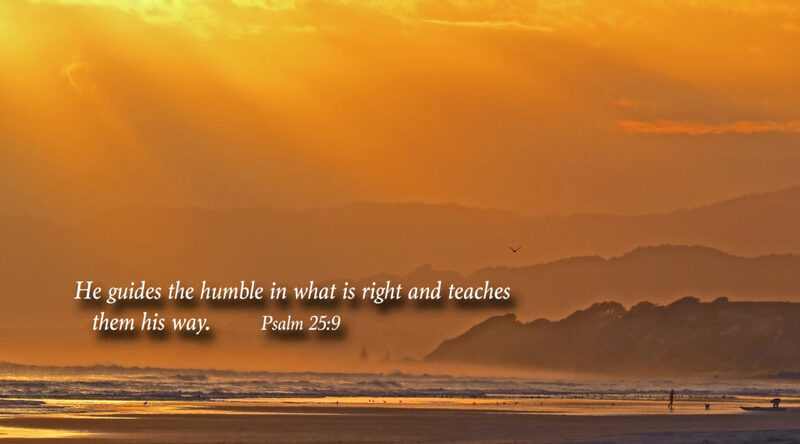 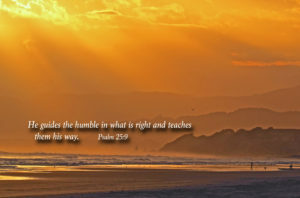 This is not easy advice, but it show us what the Lord expects of our relationships with people who are not like us. 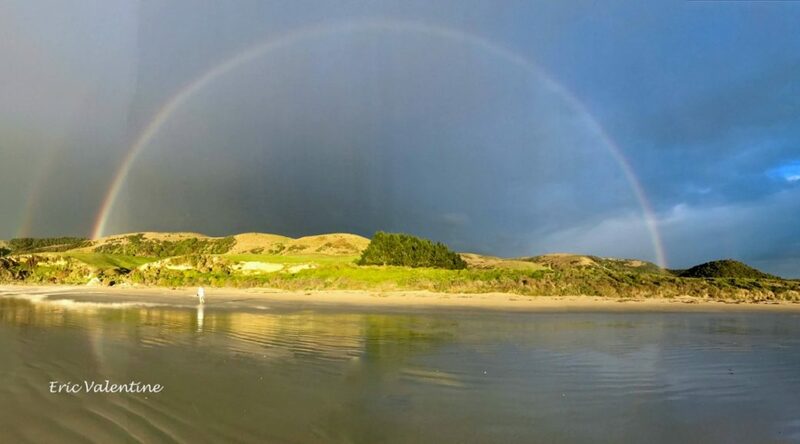 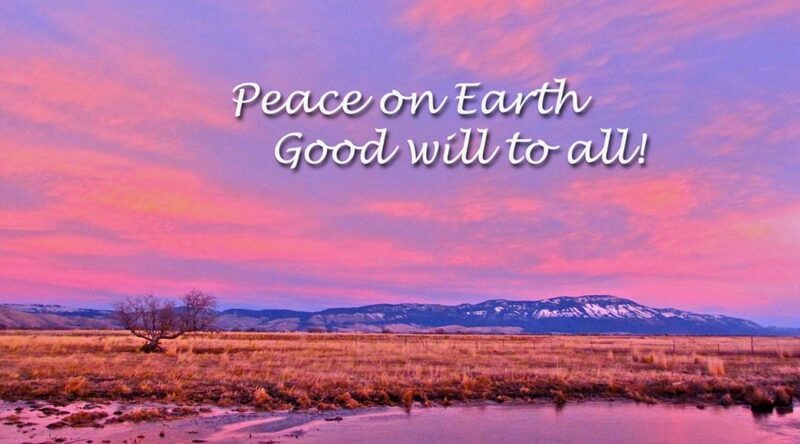 Like the rain that falls on the just and the unjust, so rainbows appear to all of us. 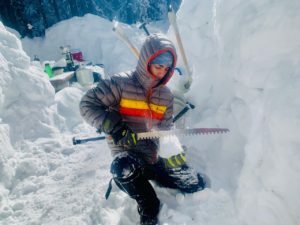 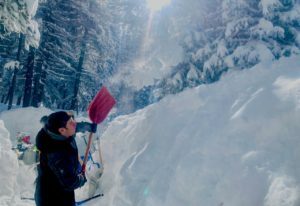 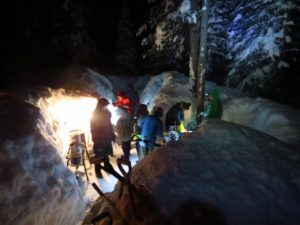 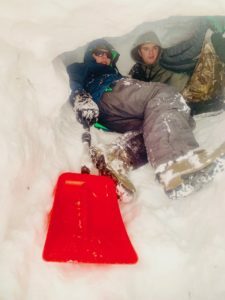 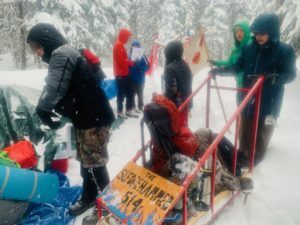 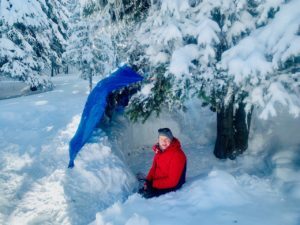 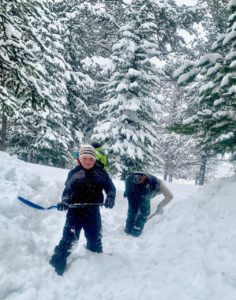 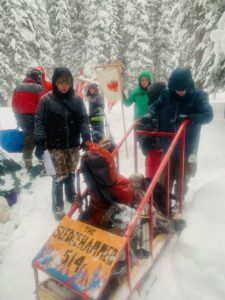 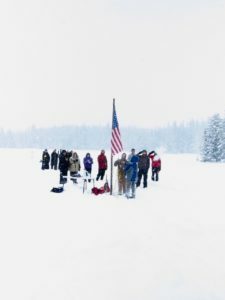 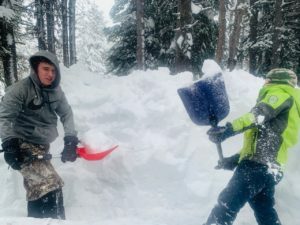 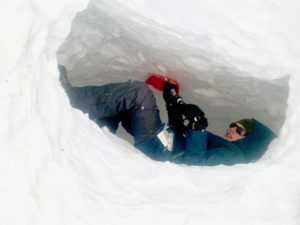 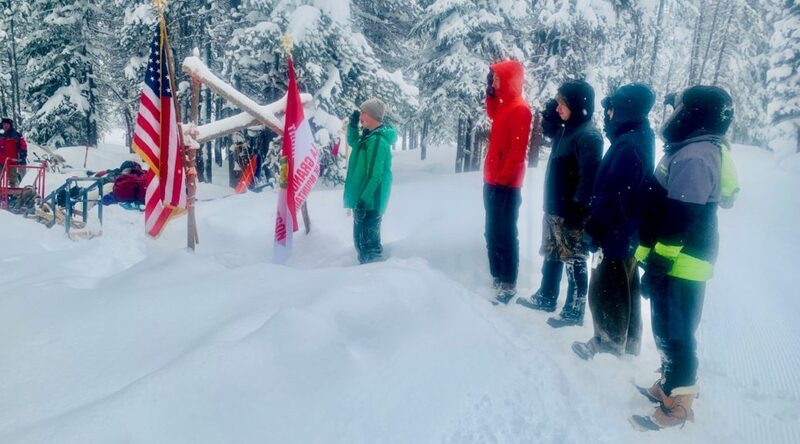 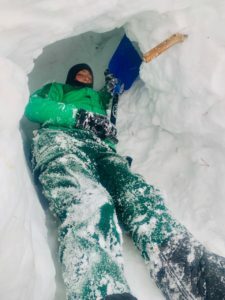 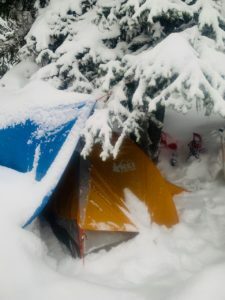 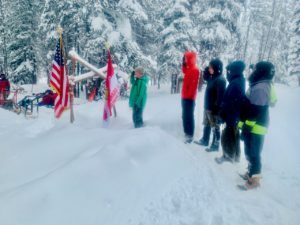 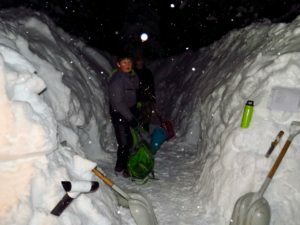 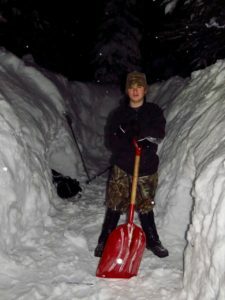 Once again, BSA Troop 514, La Grande, OR successfully prepared snow shelters and slept in them for the annual Klondike Derby at Mud Lake, opposite the Anthony Lakes ski area. 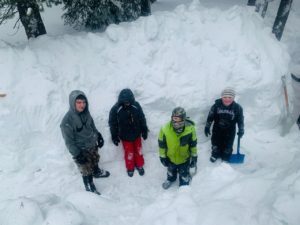 Eleven hard working Scouts, in an excellent team effort, dug a forty foot by five foot trench down into six feet of snow. 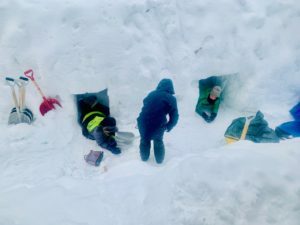 From there, they dug three snow caves into the sides of the trench. 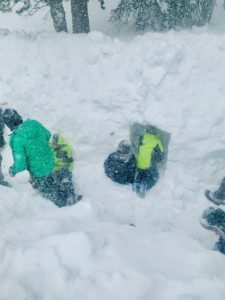 This preparation happened on Saturday and Monday of Presidents’ weekend. 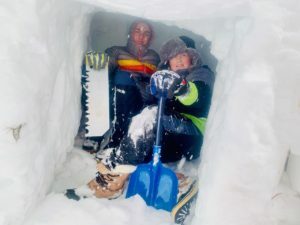 Last Friday night, February 22nd, they slept in the caves and then participated in the Saturday morning Klondike competition . 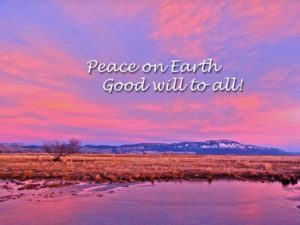 Sharing with God as friends! 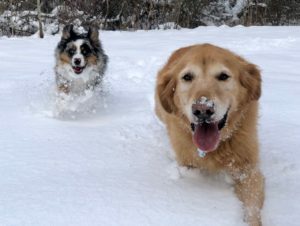 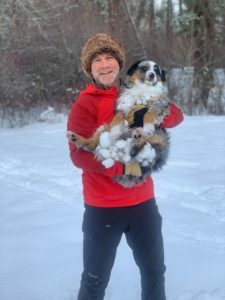 After living without a dog for six years, Meg and I recognized it was time to invest love and time in a dog again. 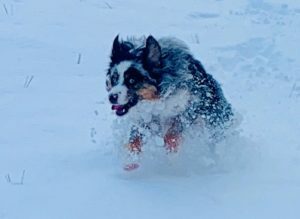 So in late August, we bought a mini Aussie shepherd. 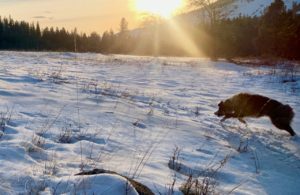 Leif is a delightful creature, full of love, energy, and intelligence. 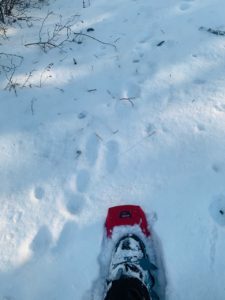 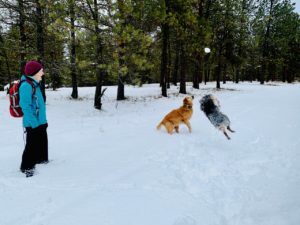 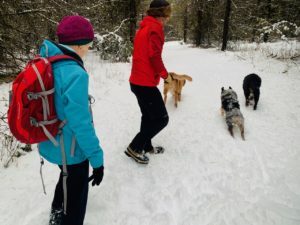 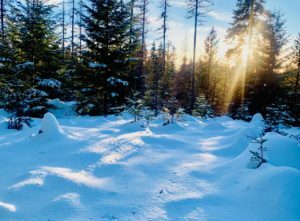 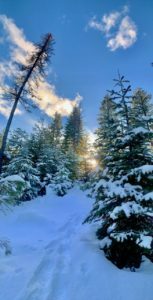 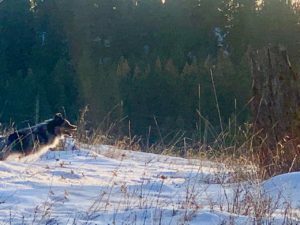 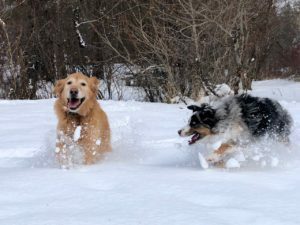 Winter hiking and snowshoeing with him in the Mt Emily Recreation Area and the Meacham Divide have been filled with his joyful exuberance for snow travel! 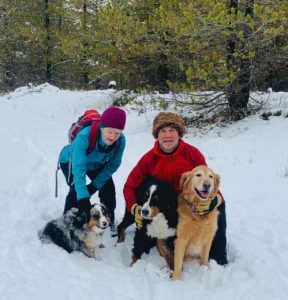 And many of these times Meg and I enjoyed the added pleasure of having son Michael and his dogs with us. 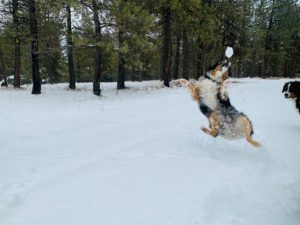 If the snow is the right temperature and consistency, Leif acquires snow balls on his fur. 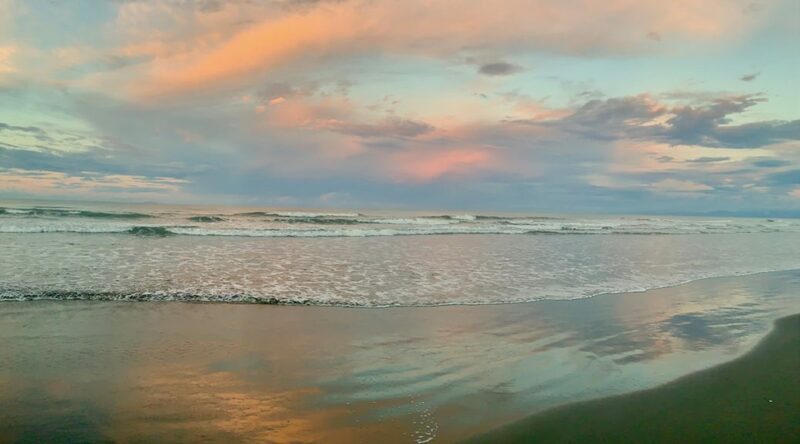 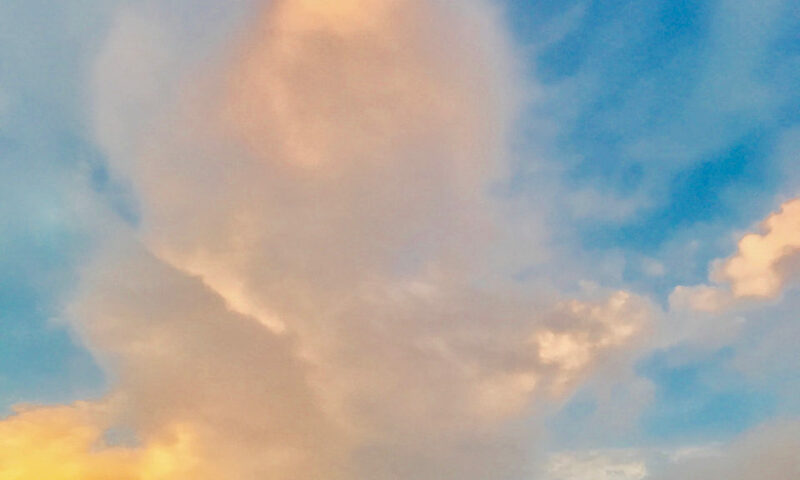 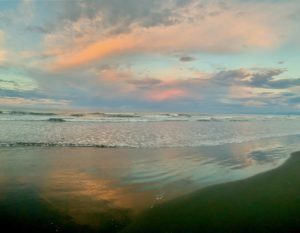 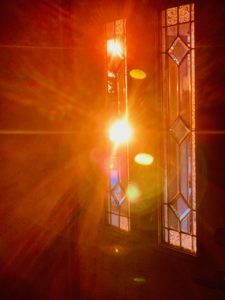 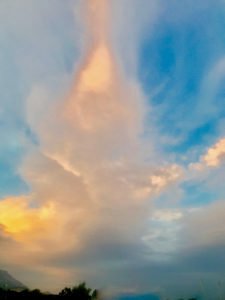 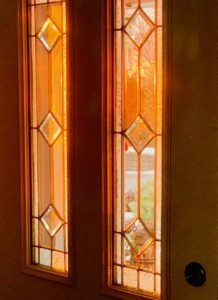 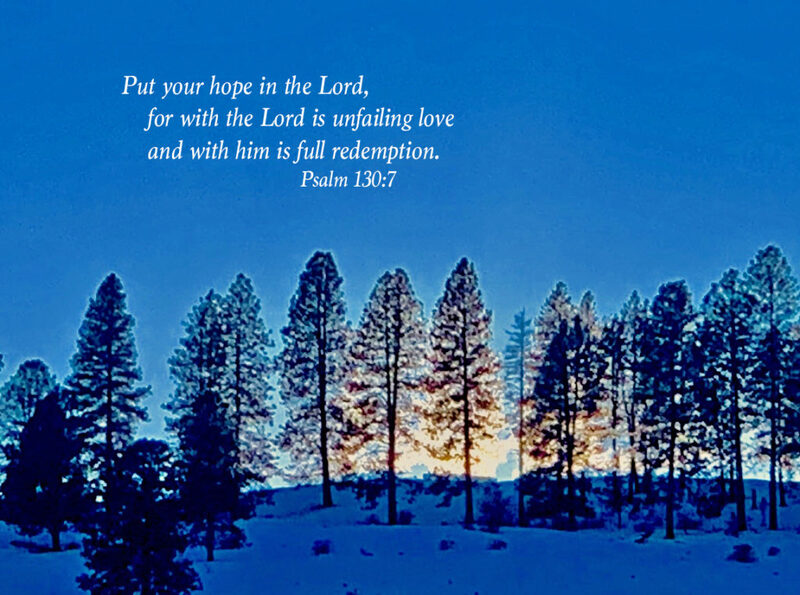 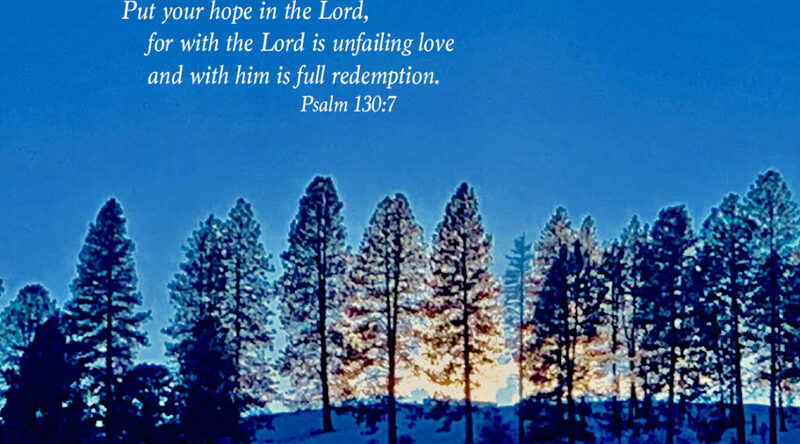 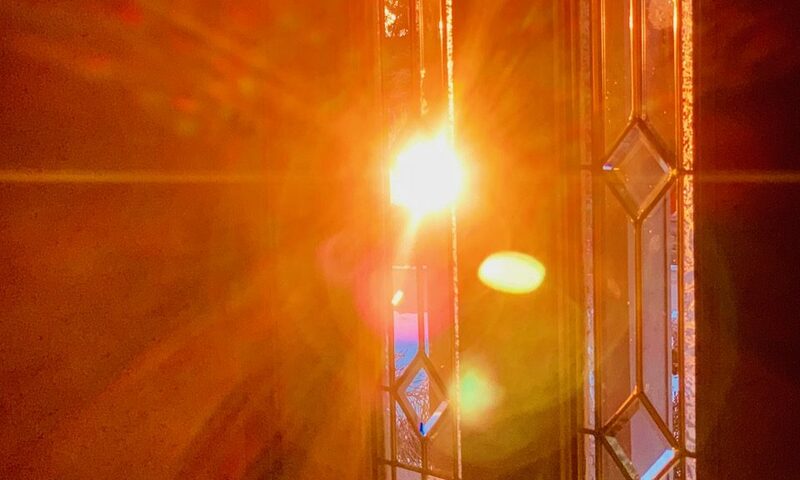 How does “tender mercy” definite my relationship with the Creator of the Universe, and my relationship with His Creation? 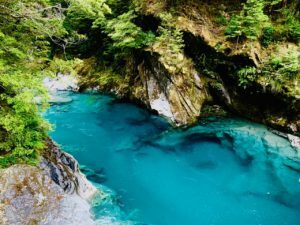 Resting, flowing, sensually invigorating, the Blue Pools are deeply blue and deeply tranquil. 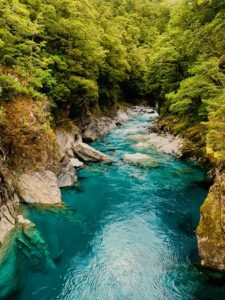 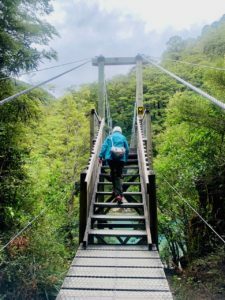 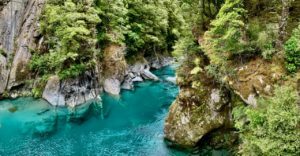 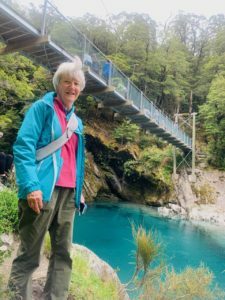 A lovely walk through mature beech and podocarp forest an hour west of Wanaka, South Island, New Zealand takes one to this stream that flows into the Makarora River. 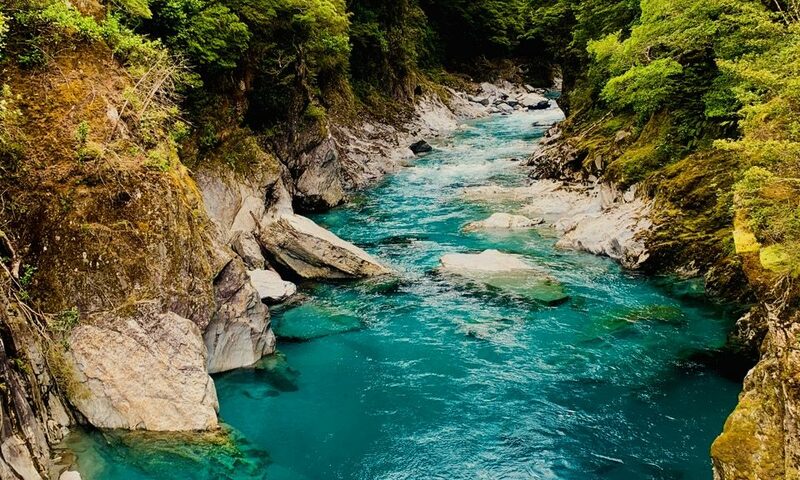 Pure glacial waters refract the light to create this deep, unique blue. 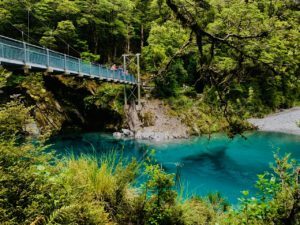 At our gym in La Grande, two treadmills allow you to take virtual walks. 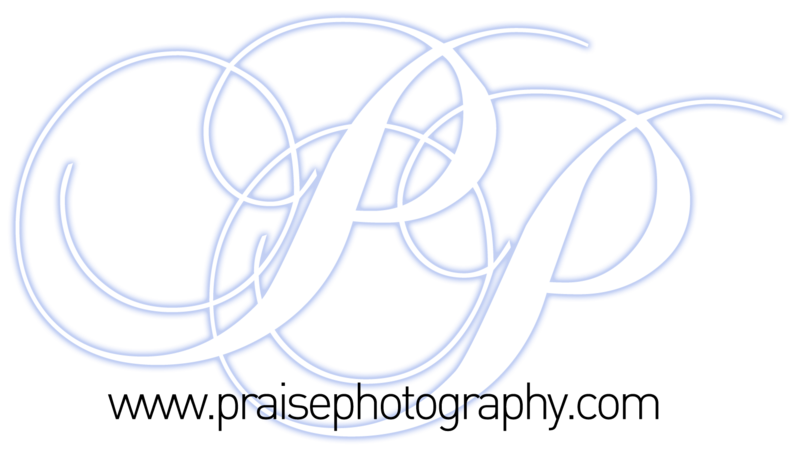 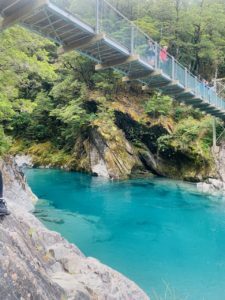 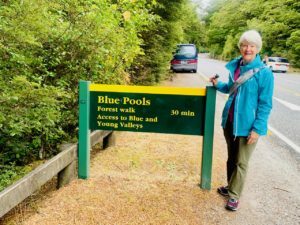 The Blue Pools is one of the choices. 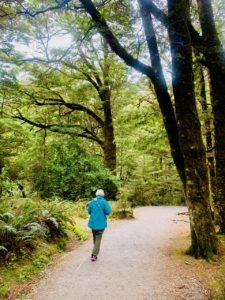 So, we happily included the actual walk in our travels this November.